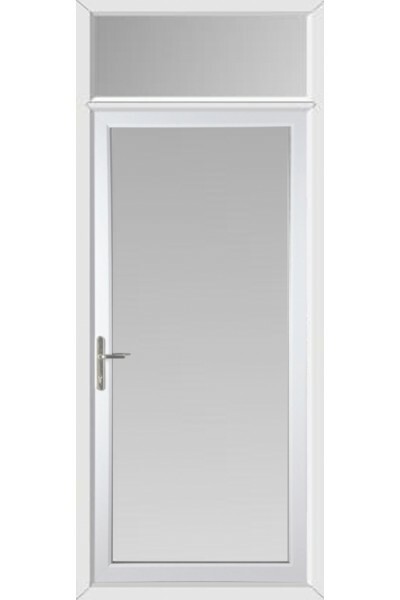 Our uPVC doors require very minimal maintenance as they do not need to be painted or varnished – just an occasional wipe to remove dust and dirt. 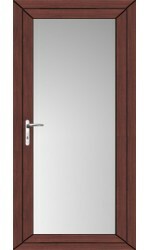 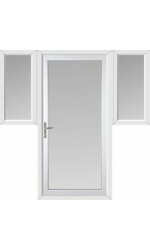 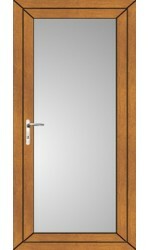 As with all of our uPVC doors, you can choose from three different colours: White, Rosewood and Light Oak. 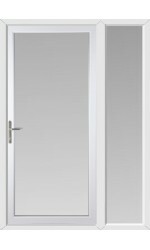 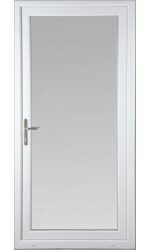 The Full Glass uPVC Door with Toplight by Frame Style. .